The Open Water Scuba Diver Certification class is 3 days long. It conducted in Honolulu at Oceanus Divers. Students are required to complete all of the e-Learning / academic portion of the course before their last scuba dive. The open water course is for new divers. You will learn how to put together as well as breakdown scuba gear. 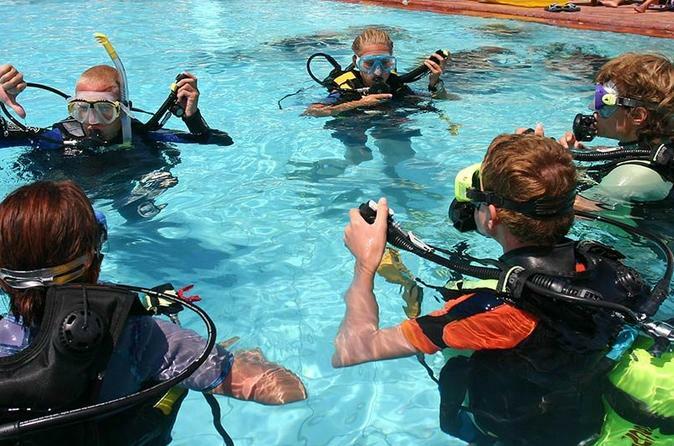 You will learn basic scuba diving skills, how to handle emergencies if they should arise, and about scuba gear. Students will practice over three days and perfect their skills and knowledge under observation of a professional scuba diver. Day one: 8 A.M. to 4 P.M.
Day three: 8 A.M. to 4 P.M.